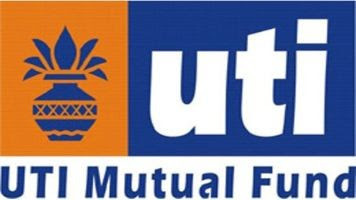 · UTI Mutual Fund (UTI) launches a new open ended scheme – “UTI Equity Savings Fund” which aims to leverage growth from equity and balance out risk by investing in arbitrage and debt instruments. · The New Fund Offer opens on August 10, 2018 and will close on August 24, 2018. · The investment objective of the scheme is to provide capital appreciation and income distribution to the investors using arbitrage opportunities, investment in equity /equity related instruments and debt / money market instruments. UTI Mutual Fund (UTI) launches a new open ended scheme – “UTI Equity Savings Fund” which aims to leverage growth from equity and balance out risk by investing in arbitrage and debt instruments. The New Fund Offer opens on August 10, 2018 and will close on August 24, 2018. The investment objective of the scheme is to provide capital appreciation and income distribution to the investors using arbitrage opportunities, investment in equity /equity related instruments and debt / money market instruments. However there is no assurance or guarantee that the investment objective of the scheme will be achieved. Mr. V Srivatsa is the Fund Manager for Equity portfolio and Mr. Sunil Patil is for the Debt portfolio of the scheme. The scheme is open to resident individuals, non-resident Indians, Institutions, Banks, eligible trusts, financial institution, Foreign Portfolio Investor (FPI) etc. Minimum initial investment is Rs.5,000. The scheme offers 2 plans viz. Regular Plan and Direct Plan with growth and dividend options under both the plans.